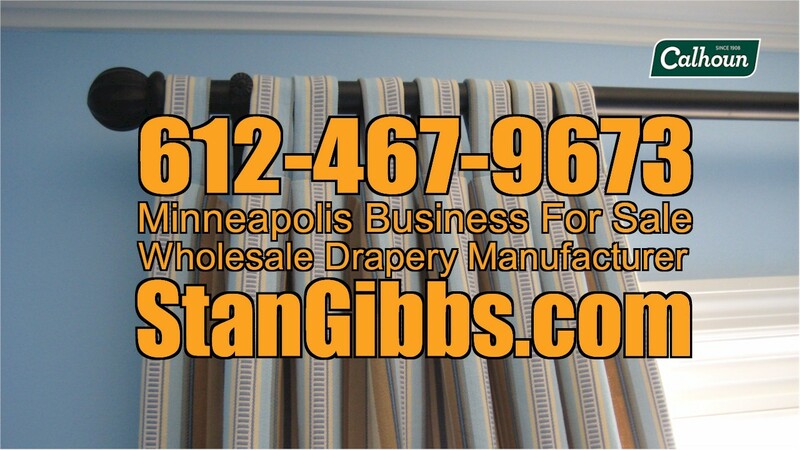 Wholesale Manufacturer of Drapery, Window Treatments, bedding, and household items for the Interior Designer Trade. This is a long-time established business with exclusive clientele. Thinking about listing your business? Call us today we offer FREE business evaluations! We have over 5,000 potential buyers of your business in our database. 612-467-9673 for more information. Check our monthly news letter for more businesses for sale, plus sign up for our monthly email.